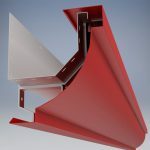 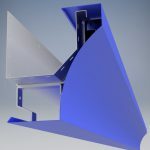 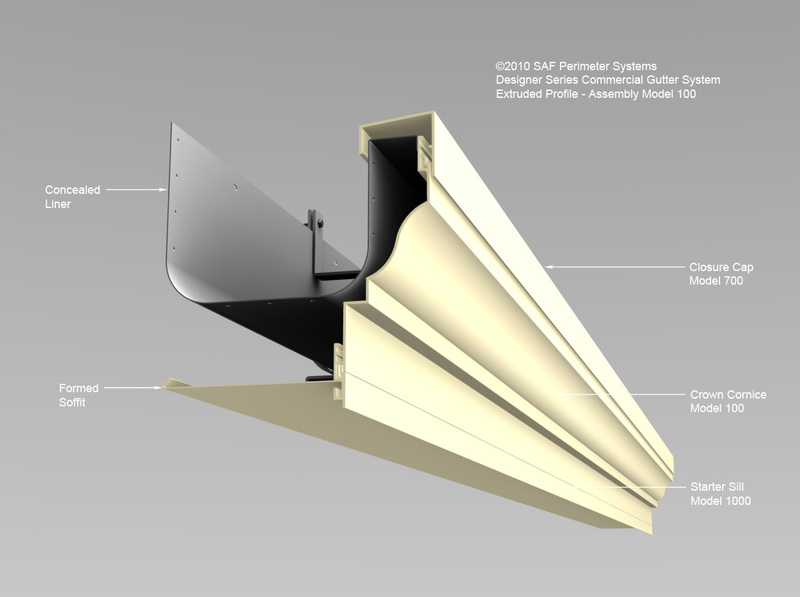 Commercial Gutter Systems & Downspouts SAF – Southern Aluminum Finishing Co, Inc. Introduced in 1990, the Designer Series pre-engineered gutter systems that includes Downspouts, Collector Heads and ancillary system components have been installed on universities, schools, municipalities, financial institutions, churches, and stately homes throughout the United States. 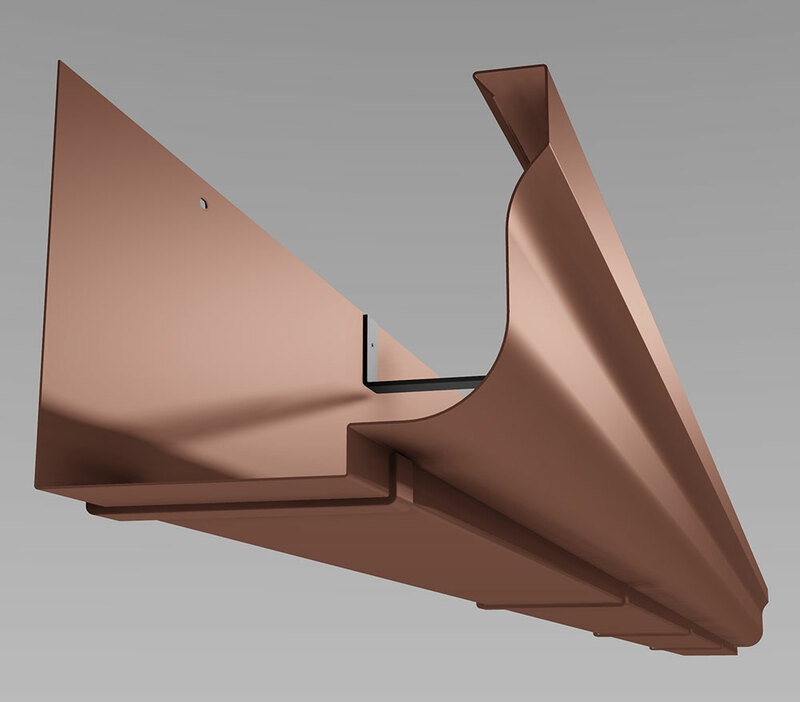 Our Designer Series ROMAN & COLONIAL Style Formed Gutters in addition to our Industrial Series G4 & G5 Gutters are Tested to meet ANSI/SPRI GD-1 Structural Design Standard for Gutter Systems Used with Low-Slope Roofs. 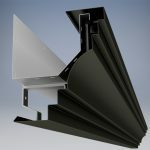 Today, with several thousand installations, these popular gutter systems have been time tested without failure. From enduring extreme winter conditions of our northern climates to hurricane Ike, a category 4 storm, that struck the Turks & Caicos Islands in 2008, our Designer Series Gutter Installations have performed flawlessly. 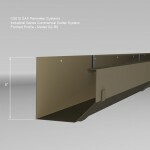 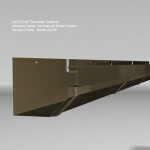 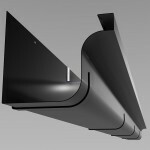 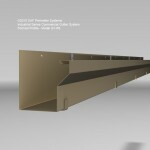 Need help with sizing commercial gutters? 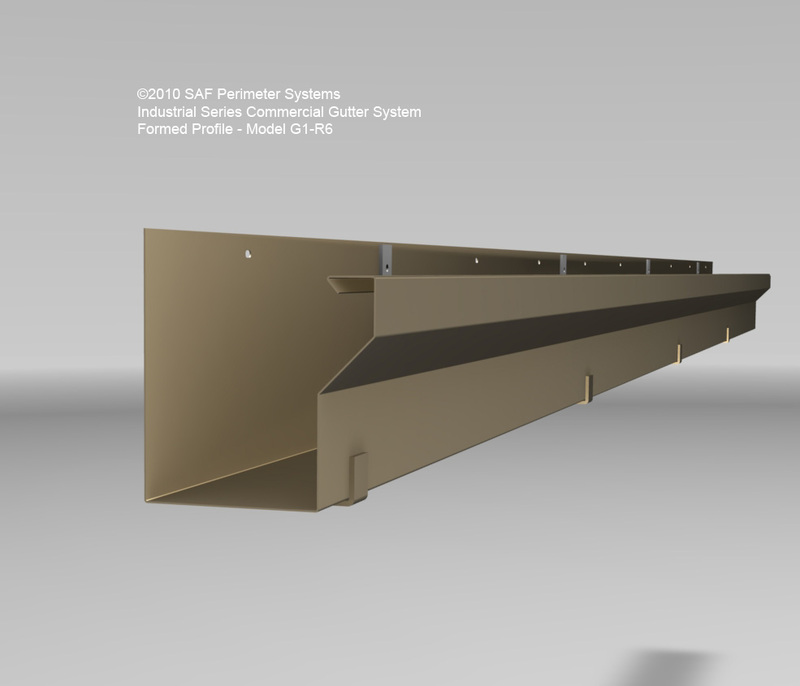 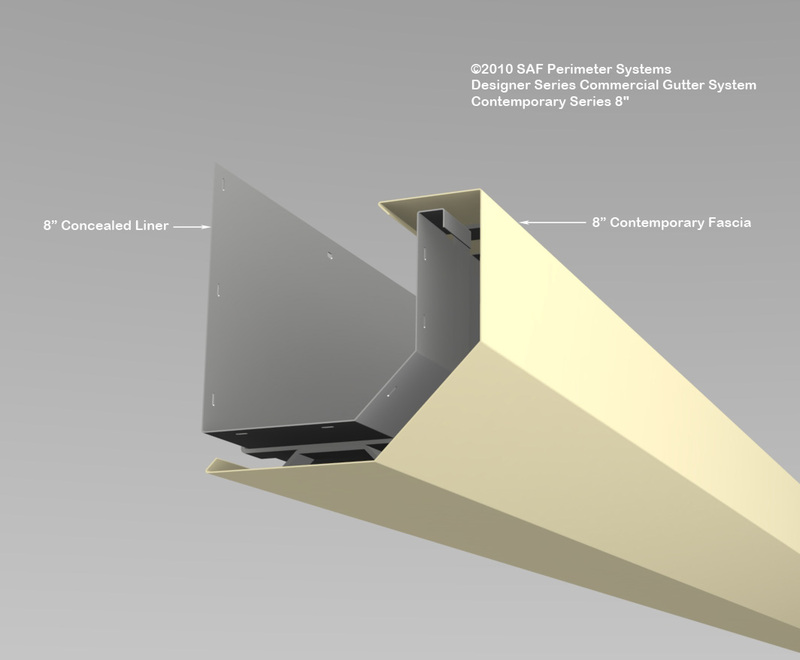 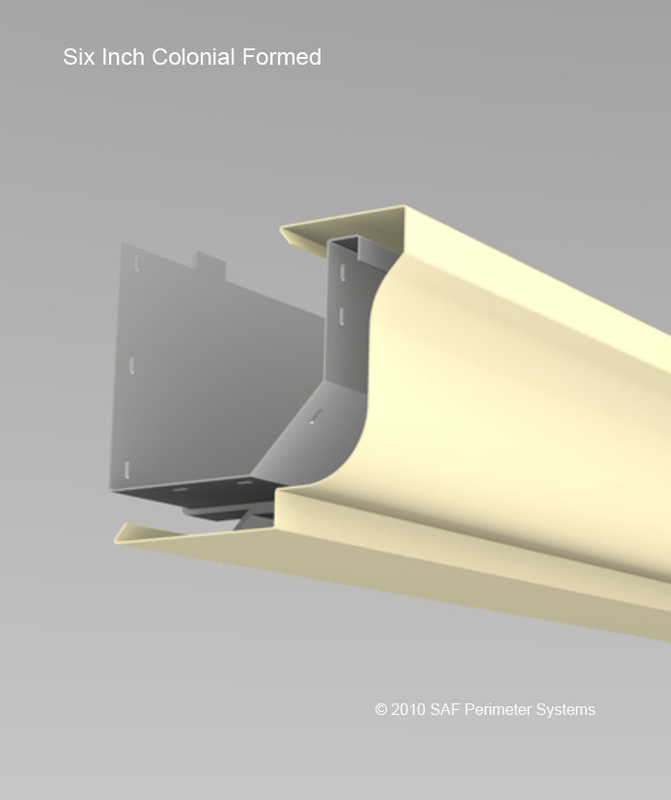 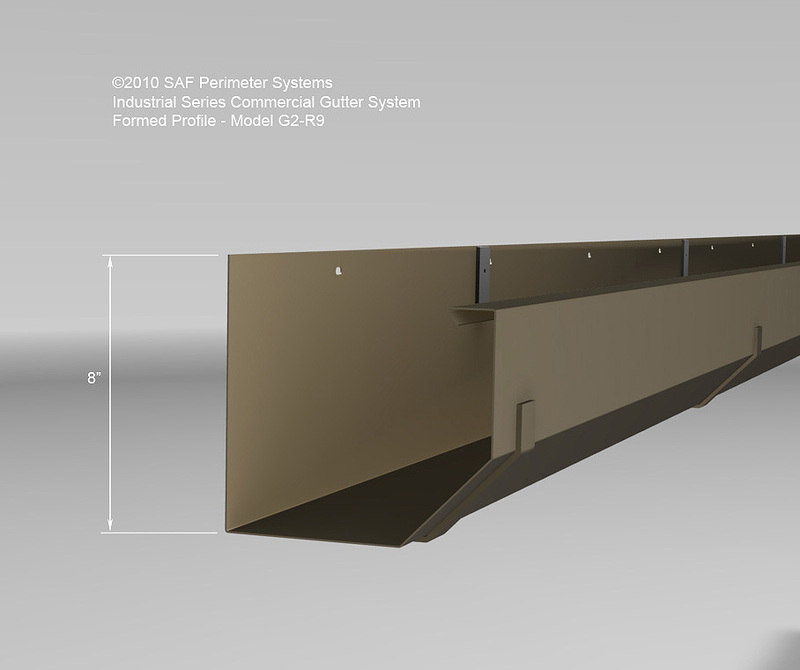 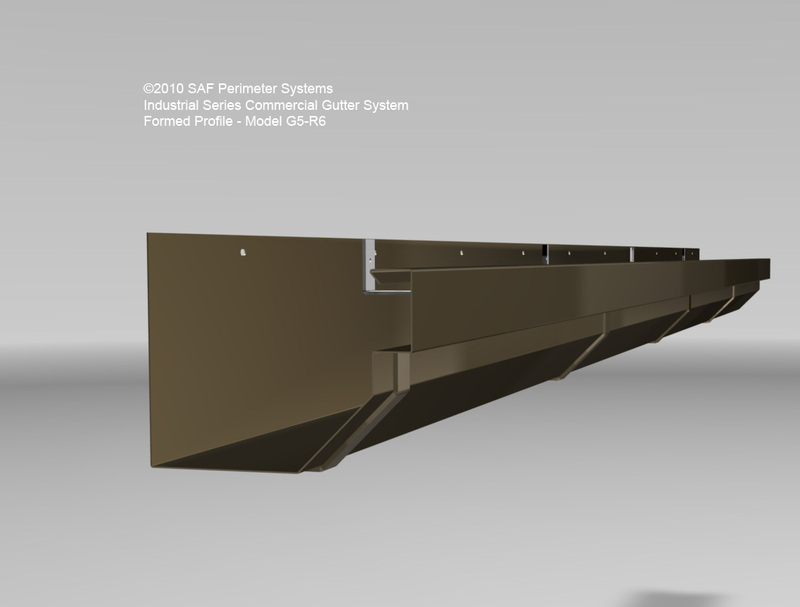 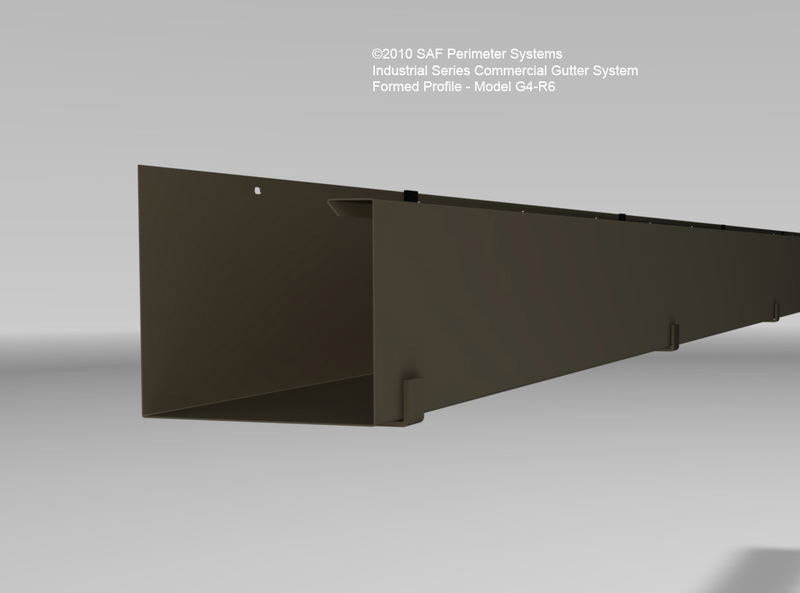 Our SAF Perimeter Systems Gutter Sizing Guide walks commercial gutter system specifiers through Gutter & Downspout Sizing Methodology. Click here for 4 Steps to properly size a Commercial Gutter & Downspout Configuration. 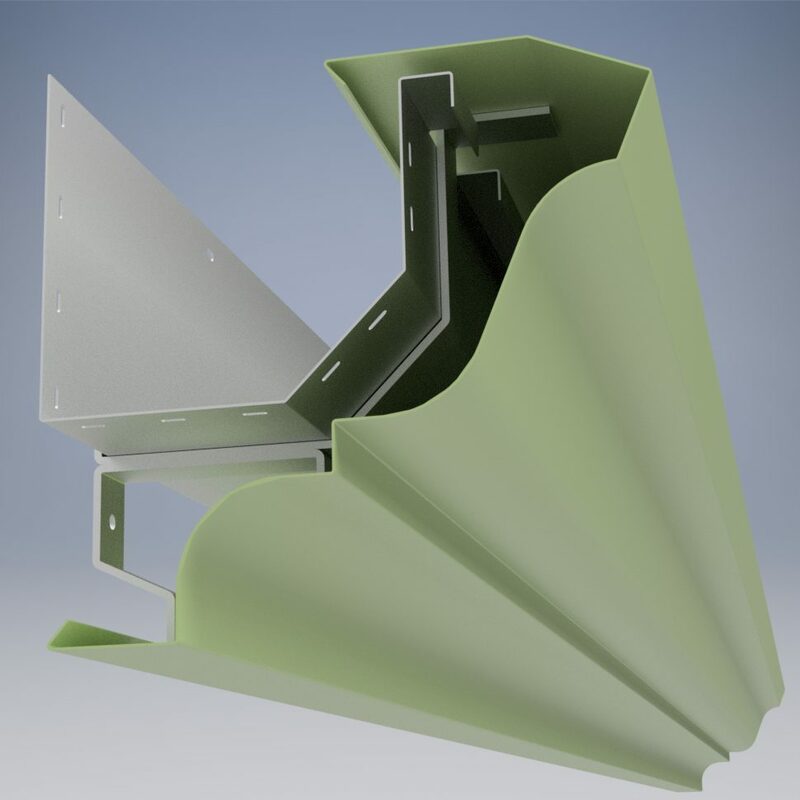 The Designer Series Commercial Pre-engineered, formed gutter systems give the commercial rainwater control system designer a full choice of formed gutter profiles to match virtually any architectural style and color. 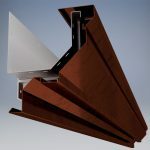 Choose from Traditional, Eclectic, or Geometric Collections. 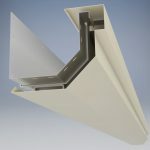 For an artistic architectural expression consider our Eclectic Collection of gutter profiles with colors to suit. Bold, angular building features are perfectly complemented with gutter profiles from our Geometric Collection. 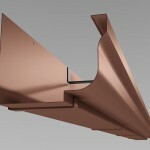 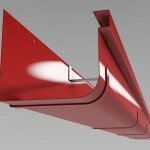 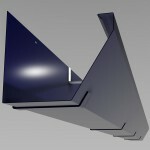 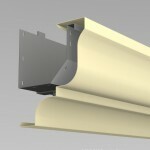 Designer Series Commercial Gutters with Extruded Mouldings. 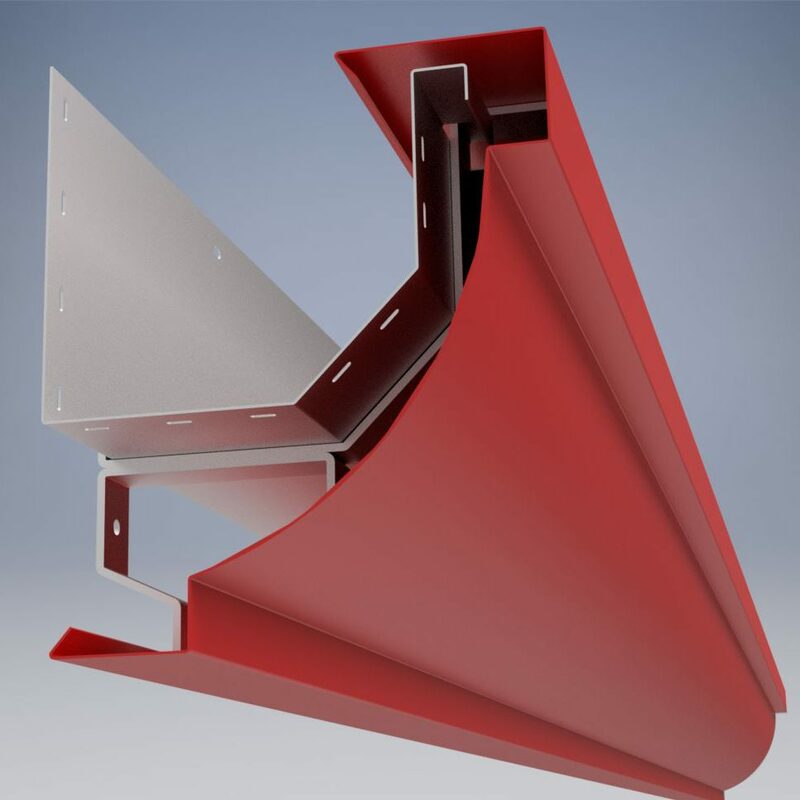 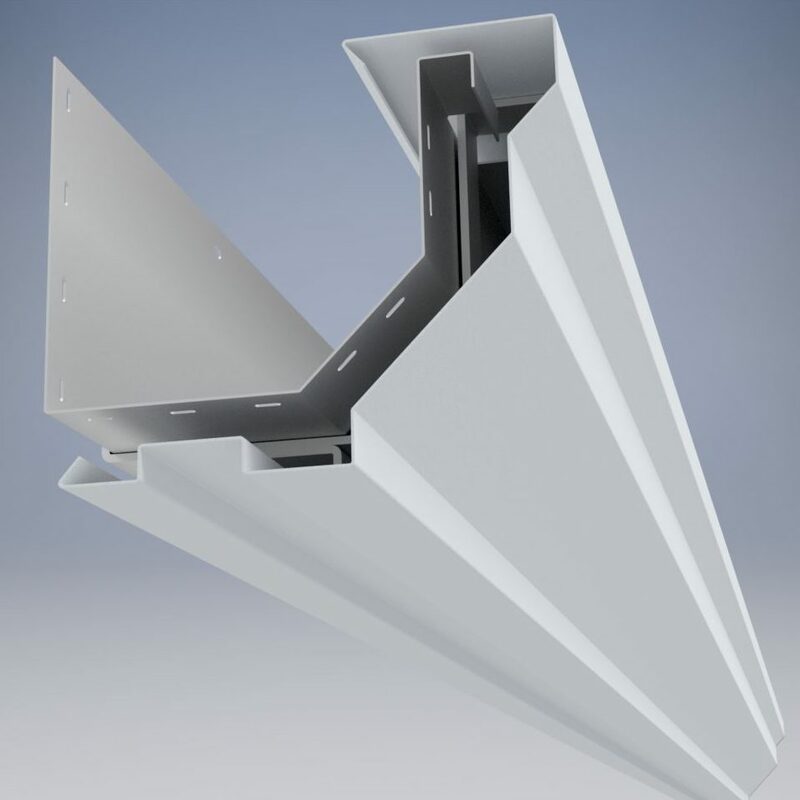 Nothing compares to the crisp-features of an SAF Extruded Gutter Moulding. 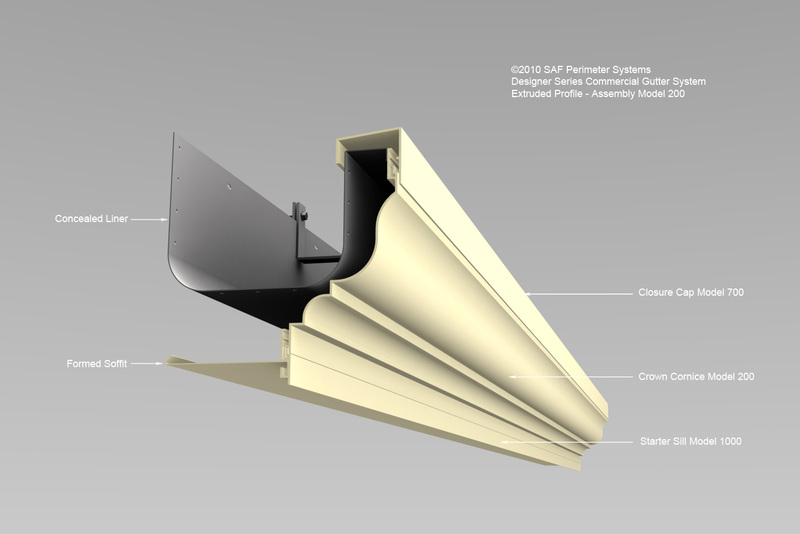 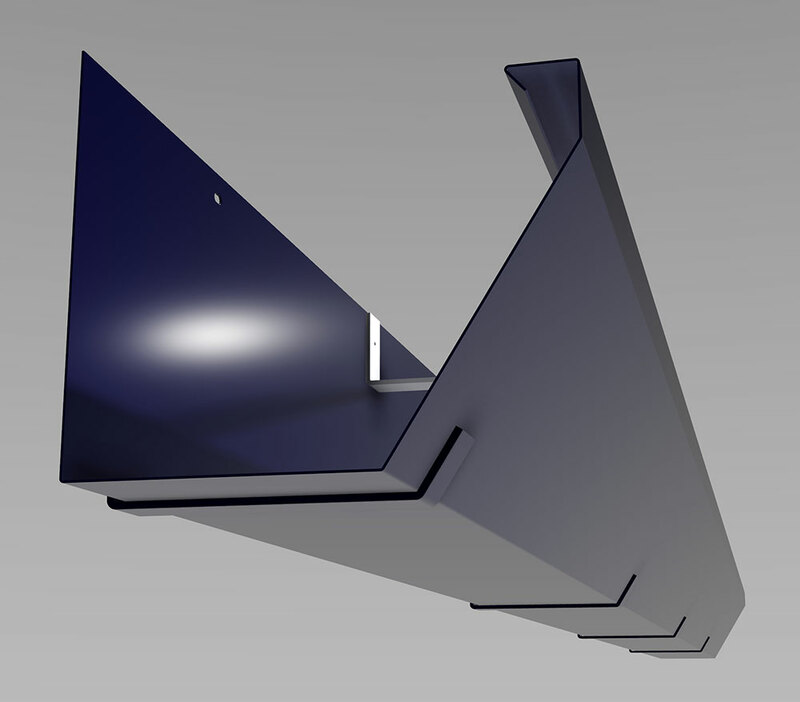 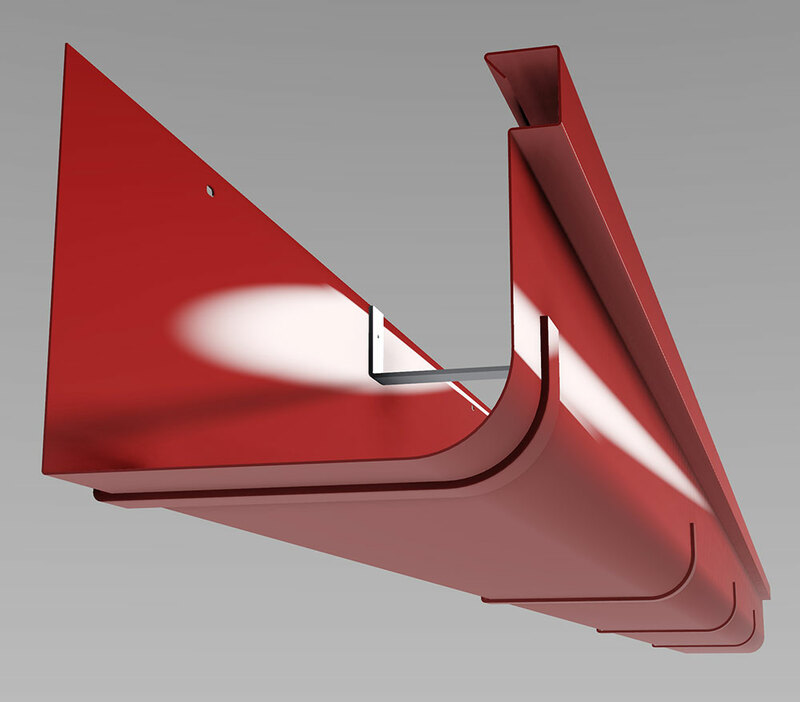 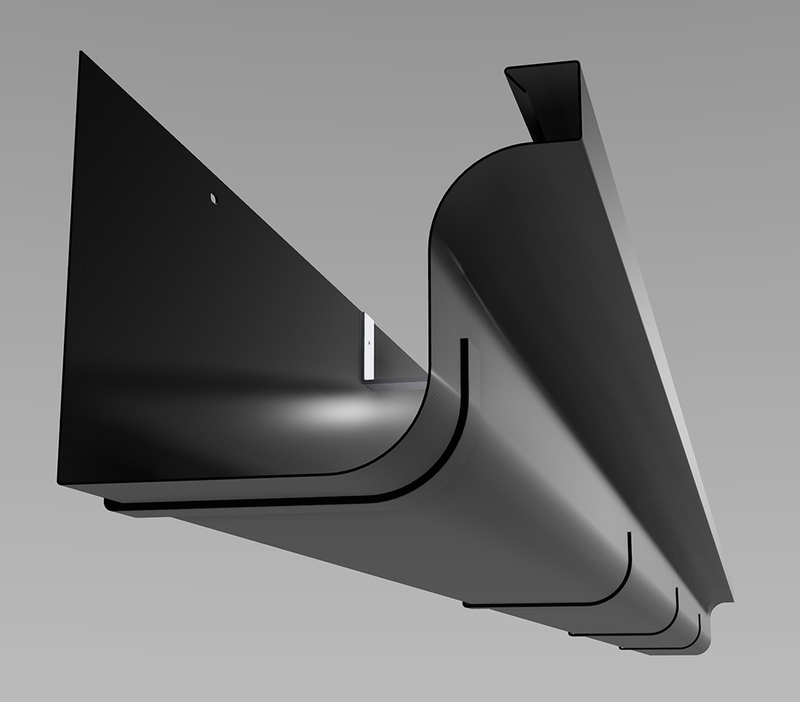 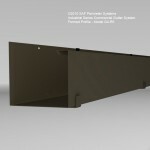 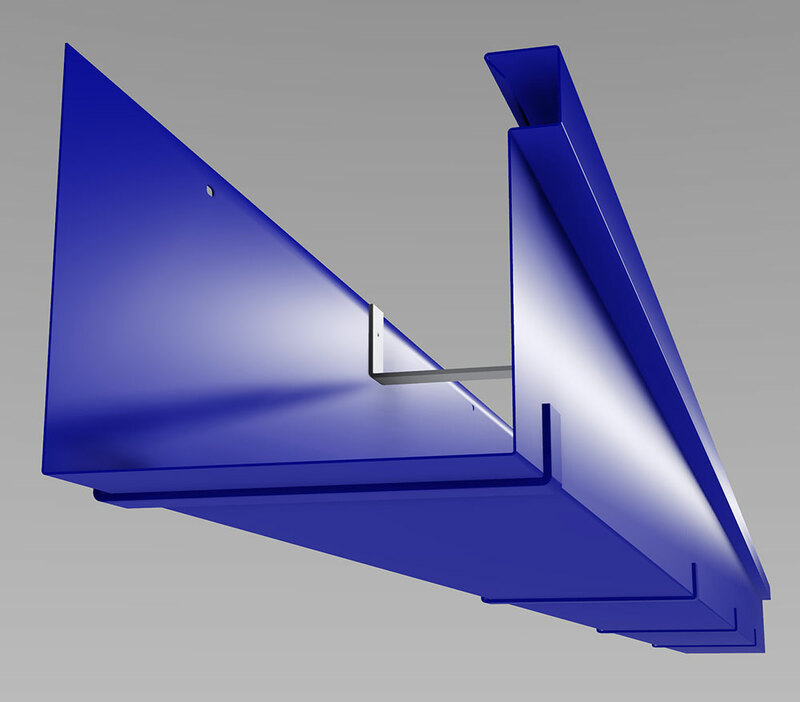 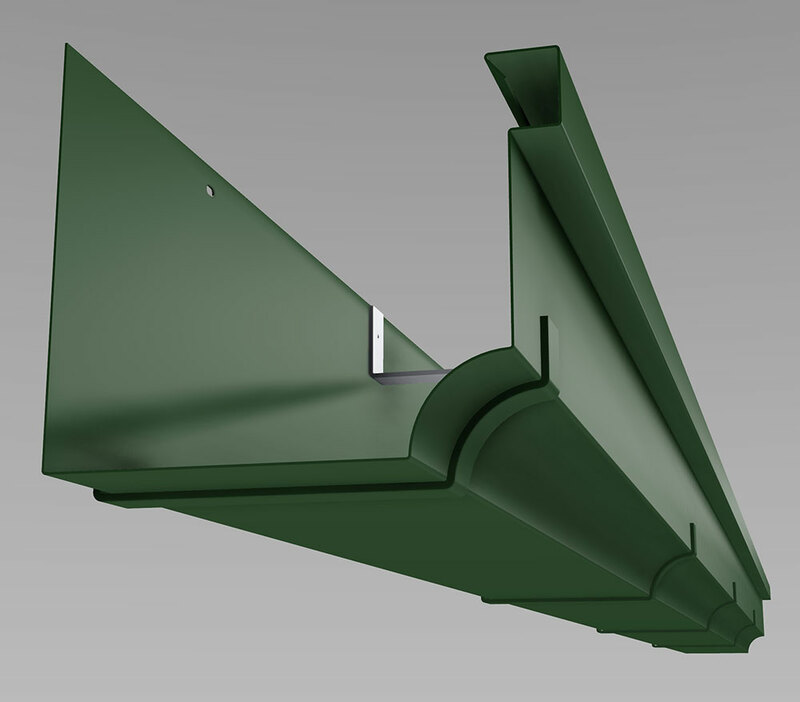 Two Designer Series Gutters include the Series 100 simple crown moulding, and the Series 200 detailed crown moulding. 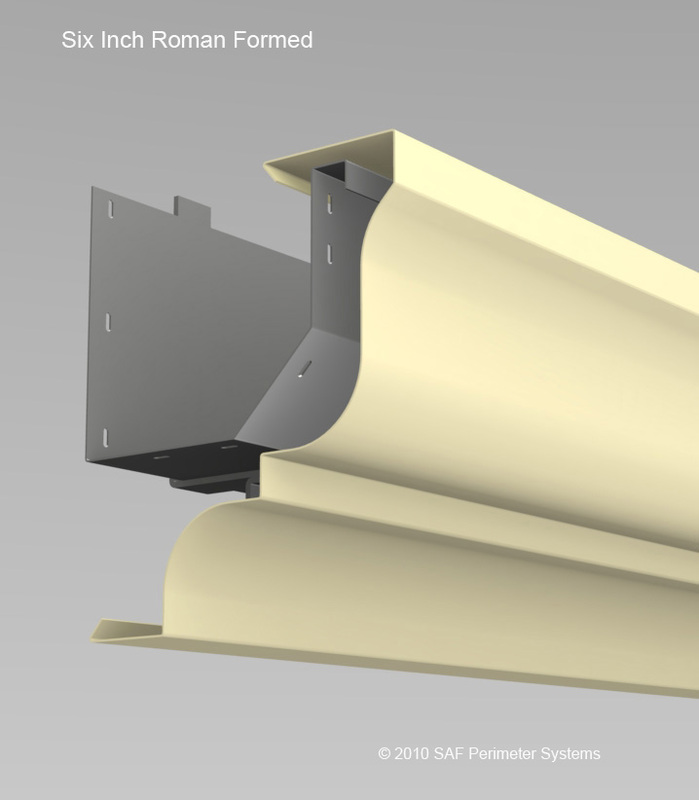 Extruded Mouldings in these series are comprised of 6 different moulding assemblies ranging from a basic gutter & cornice, to a more intricate and large cornice. 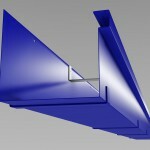 These 6 assemblies, for both series, are built from identical moulding — the only change being the uppermost crown moulding. 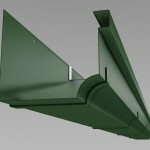 These rugged pre-engineered gutters enjoy an unblemished record for industrial performance and durability. Their extra large capacity make them ideal for use on shopping malls, strip centers, military installations and manufacturing facilities. 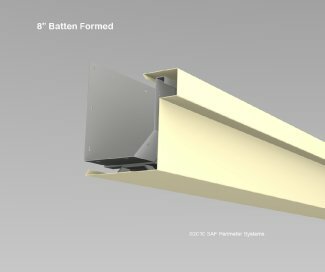 The SAF 6” SMACNA Gutters (listed in the Sheet Metal and Air Conditioning Contractors National Association Manual) are specifically designed for industrial & commercial buildings. 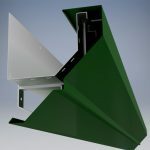 Manufactured in 10’ lengths with a heavy duty .125 aluminum interior strap they may be ordered with an optional support bracket.